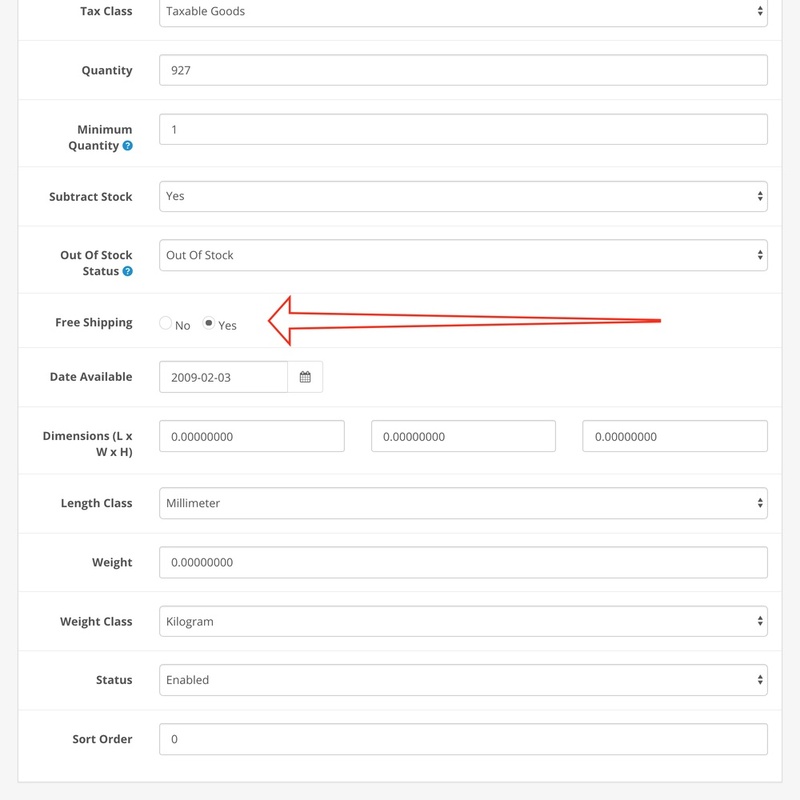 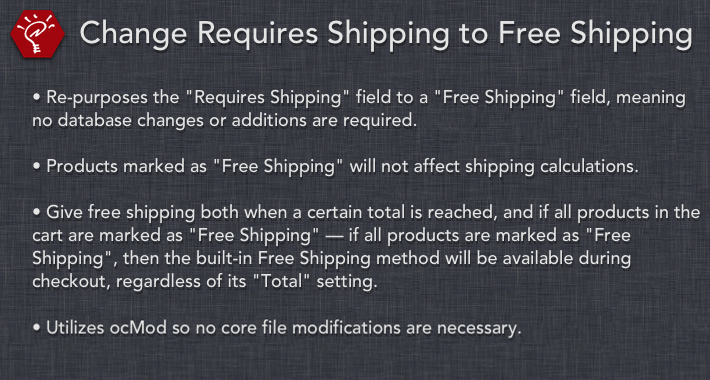 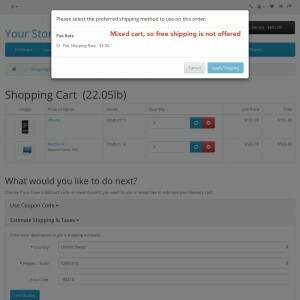 This extension will change the "Requires Shipping" field in the product data to a "Free Shipping" field. 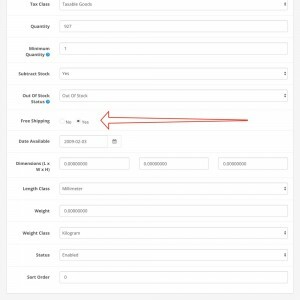 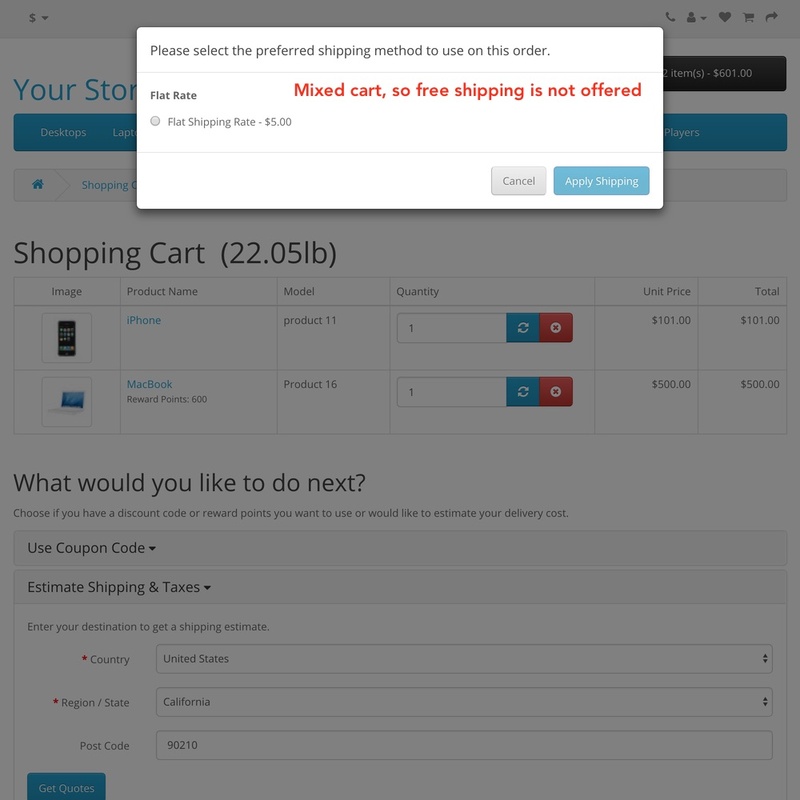 Re-purposes the "Requires Shipping" field to a "Free Shipping" field, meaning no database changes or additions are required. Products marked as "Free Shipping" will not affect shipping calculations. 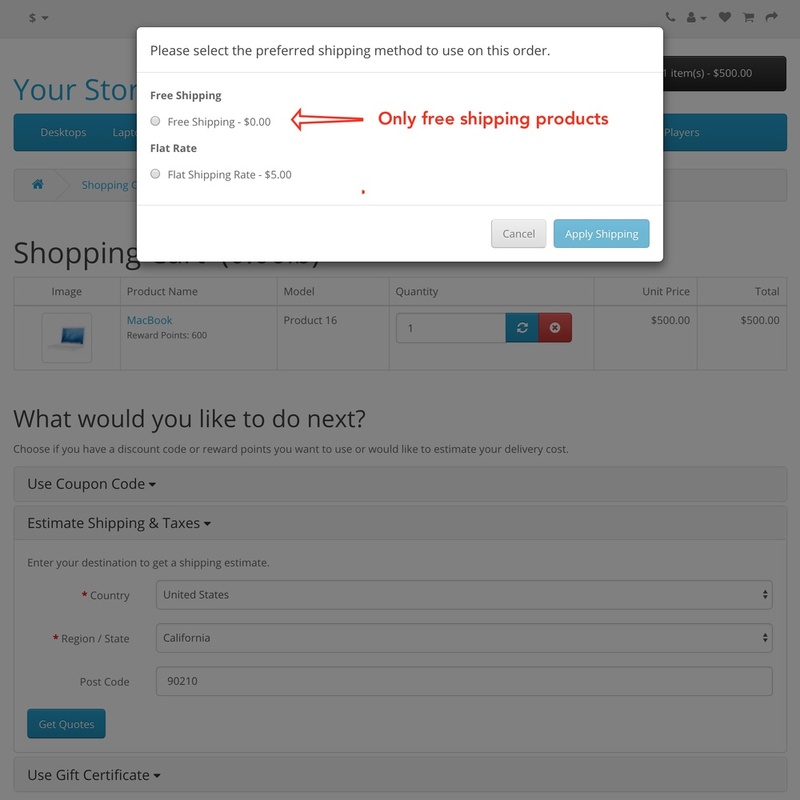 Give free shipping both when a certain total is reached, and if all products in the cart are marked as "Free Shipping" — if all products are marked as "Free Shipping", then the built-in Free Shipping method will be available during checkout, regardless of its "Total" setting. 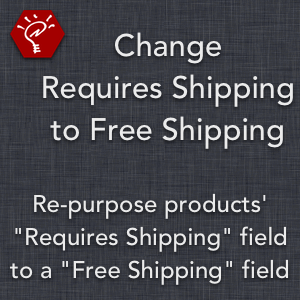 For more complex criteria in how you determine Free Shipping, take a look at Free Shipping Plus.